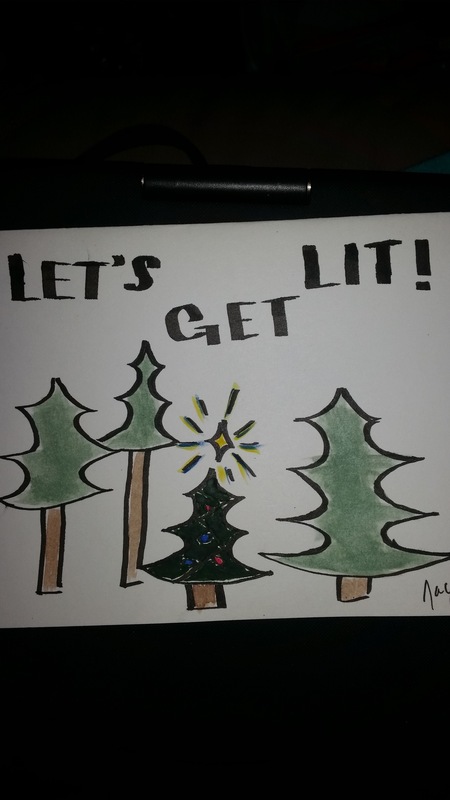 This year I am crafting my Christmas cards. I don’t have any how-tos for you (but if you want one on a specific card than let me know). The card pictured above if for my Mom and Stepdad. 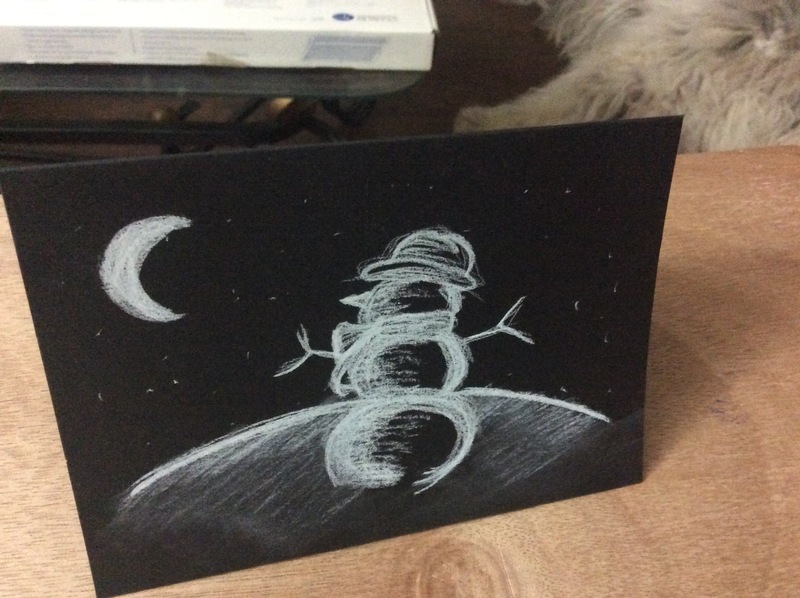 Black paper and I used General’s white compressed chalk. This one takes very little time but I quite enjoy the quick sketch look. 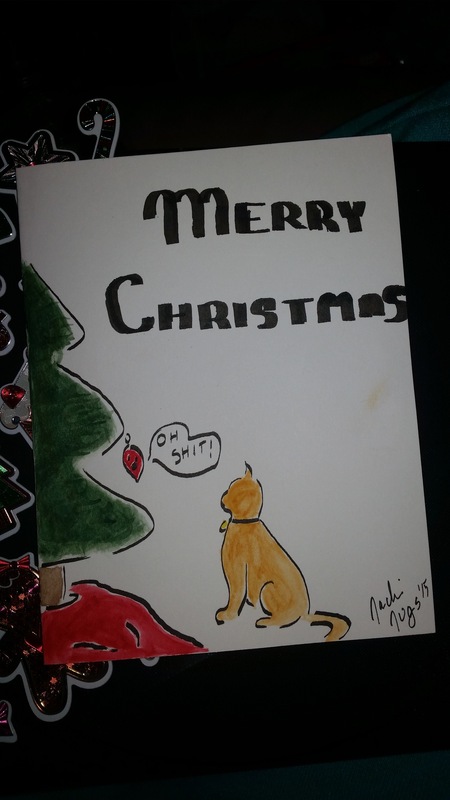 Another very basic card going out to a friend from school and pen pal for many years JL. 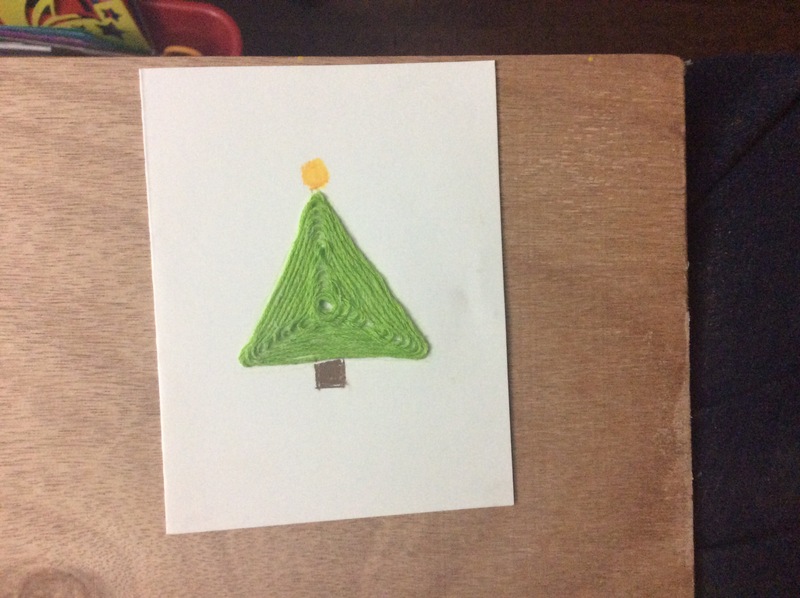 I just used some green embroidery thread I had boughten from Dollarama, glued down with crazy glue (I do not recommend this however I don’t have a glue gun) and the star/ trunk were done with Reeves soft pastels. This one is going out to Boo Boo and her husband. The black line work was done in Staedtler calligraphy marker (the narrow end) and I used watercolours to bring it to life. I couldn’t tell you the brand as I just used what was dried in my pots. I can’t tell you who this one is going out to. But it was done in the same way as Boo Boos card. This one here is going out to my Dad. 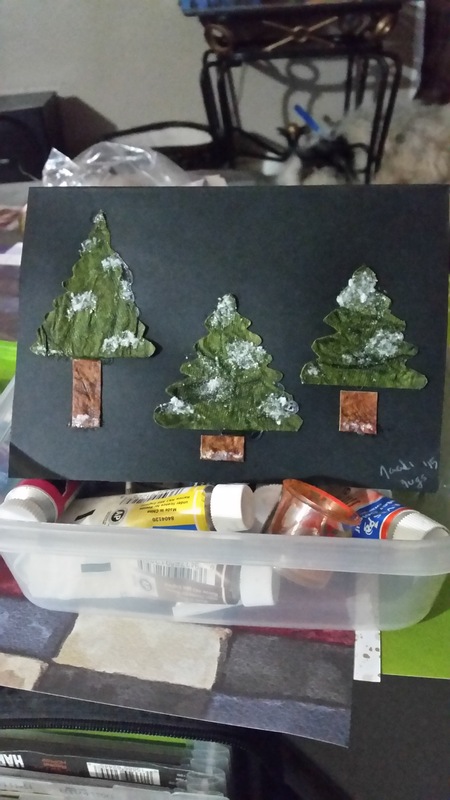 Cut out some tree part from leather looking paper (I think it came from a dollar store about four years ago) and mixed some white glitter in with glossy Modge Podge for the snow effect. Oh and I glued the trees down with Modge Podge as well. I will have more of these to show off but I didn’t want to throw it all into one post. Especially since I am not done all of them yet. They have been fun and I enjoy the mix between tasteful and funny/crude/cute.